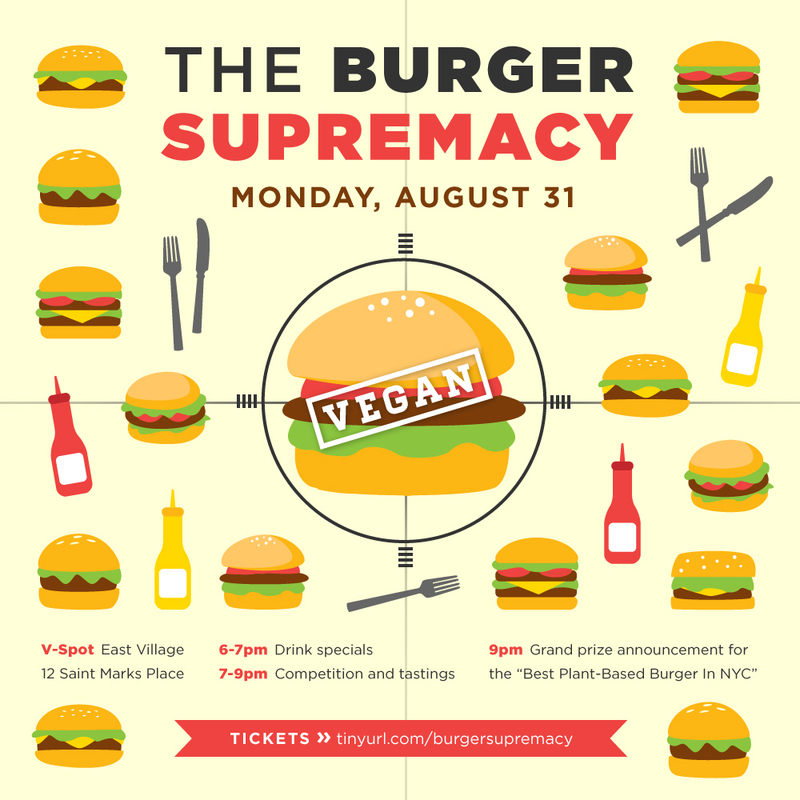 There’s burger competition is coming to the V Spot, East Village on August 31st from 6pm to 9pm. The competition brings together plant-based burgers from local chefs. Burgers can be gourmet or everyday, but must be 100% vegan. Judges and attendees will sample and vote for their favorite. The winning burger will be sold at the V Spot for the entire week following the competition! Looks like the burger taster tickets are sold out, but there’s still two spots for the competitors. Who makes a mean vegan burger and who would you like to see in the competition?